You need to choose barcode technology and font type first. Make alteration in various settings (General, font, image and color) as per need. To do font settings go to font tab and make changes according to requirements. 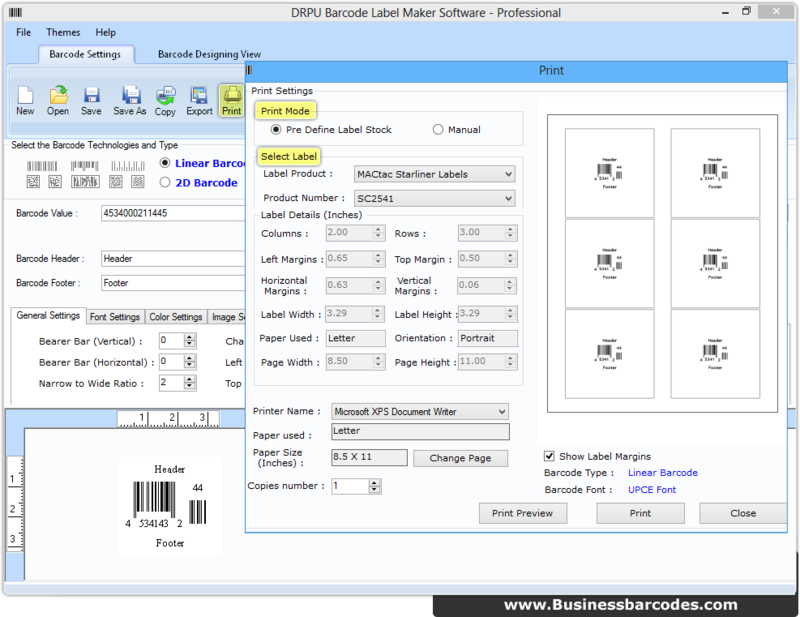 From tool bar choose pint option then select print mode (Manual or Pre Define Label Stock). 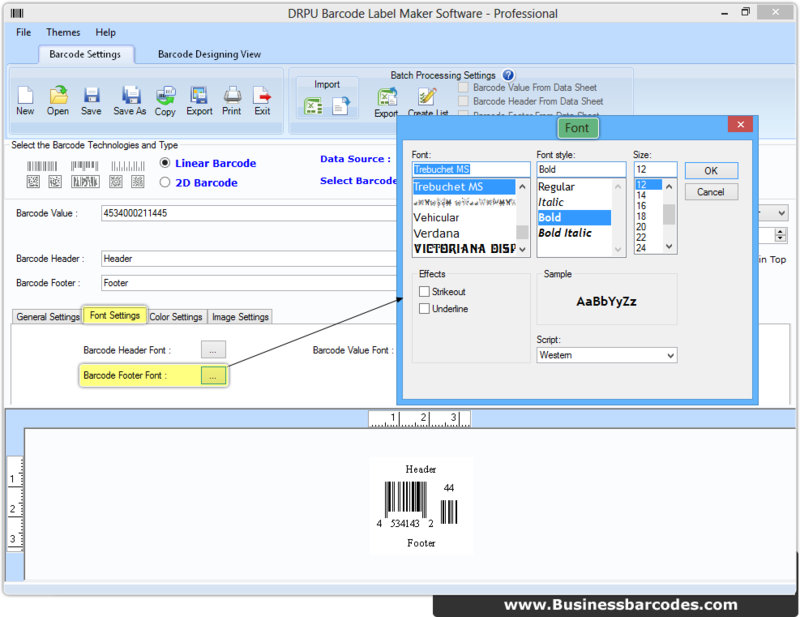 Preview your settings to avoid printing mistakes.